What makes your mouth water? Is it the surf, like lobster or oysters? Or do you prefer turf food, like steak? Maybe it’s ethnic cuisine, such as Mexican or Italian that gets you excited. Perhaps when you go to dinner, you care more about the atmosphere than the food. No matter what you’re looking for, you’re bound to find a new favorite place in Hilton Head. These restaurants give you what you’re looking for in a way that’s truly unique to the area. Whether it’s time for brunch, lunch, or dinner, this restaurant is a must for visitors to Hilton Head. Although they are famous for their shrimp, you are also going to enjoy some of the best grits around as well as locally produced tea and honey. If you have been sightseeing all day, you may find yourself at the Harbour Town Lighthouse with a bit of an appetite. Time to relax and enjoy the fine dining experience and broad menu at this restaurant. Need a place to bring the kids? Not only can you indulge in locally-caught shrimp and steamed oysters, but this venue offers a playground for kids to be entertained while you enjoy live entertainment and a beautiful view of the waterfront. Maybe seafood and Southern cuisine isn’t your cup of tea. Maybe you’re looking for something you can trust rather than something new. If pizza is your go-to dish, then the place to go is Giuseppi’s. Their quality, fresh ingredients will give you a dish that won’t let you down. It’s about dinner time now, isn’t it? Even if it isn’t, you probably can’t wait to sink your teeth into something you just read about. 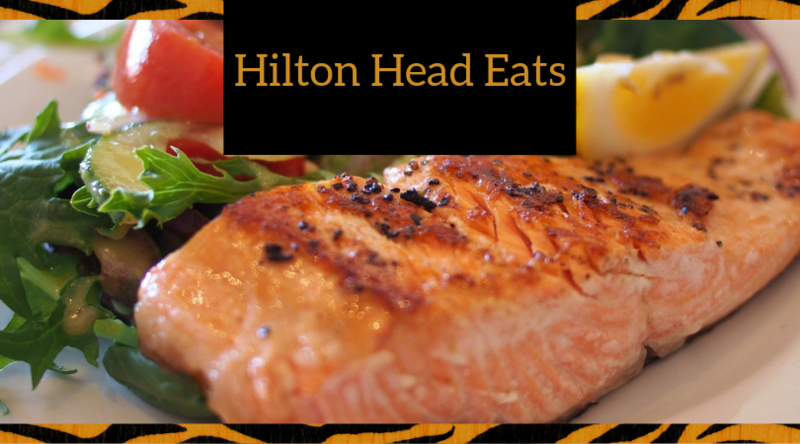 Come hop on a AAA Riding Tiger bike and find your next great meal here on Hilton Head. We have the bikes and gear to get you on your way to an amazing meal.